Vector 1.9 Diesel Auto Saloon. R Headlamp. This part was removed from a Right Hand Drive Vehicle. Compatibility is a guide only. Your item will need to be signed for. Other Details. TRIM LEVEL. Piloto izquierdo delantero. Reference OE/OEM Number 5336748. 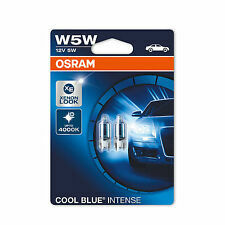 Reference OE/OEM Number 5286455. Reference OE/OEM Number 12761341. Manufacturer Part Number 34341341. EAN Does not apply. 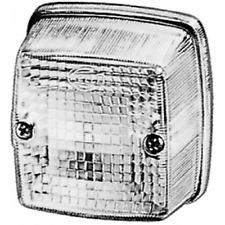 Front Left Indicator Lamp. Saab 9-5 (2002-2005 models). Our ref: BMC34341341-072A02. Brand new left fog lamp that is suitable for the following: Saab 9-5 05-09 - all models Saab 9-3 08-12 - all models For more information regarding this part, please contact us via eBay. PART NUMBER - 12777400. 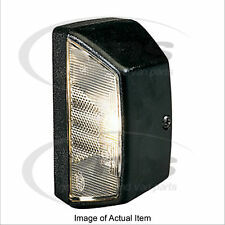 GENUINE SAAB 9-3 & 9-5 ROUND FOG LAMP LEFT HAND PASSENGER SIDE. LEFT HAND PASSENGER SIDE. Brand new right fog lamp that is suitable for the following: Saab 9-5 02-05 - all models For more information regarding this part, please contact us via eBay. Saab 9-5 (1998-2001 models). Front Indicator Light - Right. Streuscheibe, Hauptscheinwerfer. Inhalt 1x Streuscheibe, Hauptscheinwerfer. SAAB 9-3 (YS3D) 2.0 i. SAAB 9-3 (YS3D) 2.0 SE Turbo. SAAB 9-3 (YS3D) 2.0 Turbo. SAAB 9-3 (YS3D) 2.2 TiD. SAAB 9-3 (YS3D) 2.3. Delantero piloto - derecho. Acerca de nosotros. 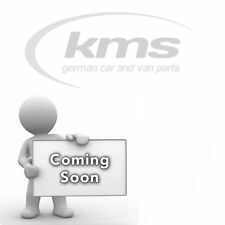 Reference OE/OEM Number 32019346. Saab 9-5 95 05-09 y 9-3 93 08-12, Luz / luz antiniebla izquierda 12777400 19-0494-01-2. Manufacturer Part Number 12777400. 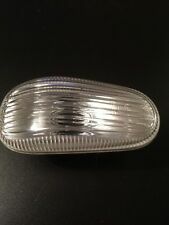 GENUINE SAAB AIRFLOW CARLSSON FOG LIGHT COMPLETE UNIT. As per title. From an 05 93 saloon. Collection also available in the Hull area. Item may have general marks/scratches etc on it, but item is in a good useable condition. Brand new right fog lamp that is suitable for the following: Saab 9-5 05-09 - all models Saab 9-3 08-12 - all models For more information regarding this part, please contact us via eBay. HELLA 2JA 003 231-006. HELLA 2JA 003 231-007. HELLA 2JA 003 231-008. Anzahl der Leuchtefunktionen 1. Leuchtefunktion 006. uns vor dem Verkauf geprüft. HELLA 003 231-001. Alle gebrauchte Ersatzteile werden von. MPN FANALE FRECCIA LUCE DIREZIONE. GRAN BRETAÑA: BT, JE, ZE. PORTUGAL: MADEIRA, AZORES (9000-9399, 9400-9999). FRANCIA: CÓRCEGA (20000-20999). Brand new left fog lamp that is suitable for the following: Saab 9-5 02-05 - all models For more information regarding this part, please contact us via eBay. Our cars are Right Hand Drive (RHD) unless otherwise stated. Kupplung/ -anbauteile. Fahrzeugausstattung 028. Links-/Rechtsverkehr 000. Lampenart 021. Blinker-Farbe 6. innerhalb von 48 Stunden! Klimaanlage und Heizung. Kompressor und Einzelteile. Classic Saab 900. NG Saab 900 1994-98. Side Indicator Lamp. Genuine Saab Part No 9124132. suitable for your. Saab 9000 inc cse cde aero carlsson. 2x BUJES DE LA BARRA ESTABILIZADORA NUEVOS. Bujes de la Barra Estabilizadora fabricados en goma de alta calidad. Los bujes de la barra estabilizadora pueden mostrar varios síntomas de desgaste, incluyendo. Kupplung/ -anbauteile. Links-/Rechtsverkehr 000. Fahrzeugausstattung 028. Lampenart 021. Blinker-Farbe 6. innerhalb von 48 Stunden! Klimaanlage und Heizung. Kompressor und Einzelteile. GENUINE SAAB BONNET RELEASE CABLE. ALL MODELS HATCHBACK CONVERTIBLE SEDAN.